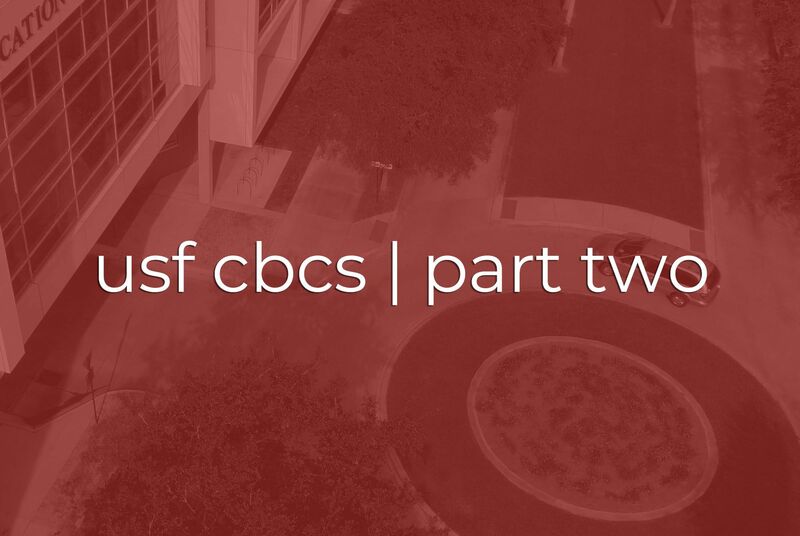 Welcome back to the blog for Part Two of our blog series about our commercial videography production with USF’s College of Behavioral and Community Sciences. If you missed part one, you can read it here. The College is celebrating their ten-year anniversary, “A Decade of Making a Difference,” so, they commissioned this commercial. The commercial was to reflect the College’s mission of “dedicated to promoting wellbeing,” as well as show how students make a difference in the community upon graduation. This commercial videography production consisted of two full days and two half days to capture the various elements featured in the commercial. Two Stories Media shot the commercial entirely in 4k to ensure the highest possible quality. We filmed throughout various conference rooms and classrooms at the College. Filming also occurred at multiple other locations, including: the Clearwater Police station, Hillsborough County Court House, and a local nursing home. This enabled us to capture the students in action. We had a full crew on set, which consisted of a Director (Eric), Director of Photography (Kevin), gaffer, grip and a production assistant. This production consisted of many moving parts, so it was critical to remain on schedule. Our crew moved gear efficiently and pre-lit rooms, which allowed the camera and cast to walk in and be rolling in an efficient amount of time. At one point, we had one conference room and two classrooms fully lit. We also captured aerial footage which was used in the commercial. Our gear was across the entire college, but our professional crew executed the production flawlessly. Upwards of 100 faces are seen in the commercial as we captured real life classrooms, graduations, and sessions. The commercial captured “authentic learning opportunities,” which is one of the primary goals of the College. We, along with the College, feel that the final commercial achieved this style. Congratulations to the USF CBCS on your 10 year anniversary! Two Stories Media wishes you and your students continued success in the community. We look forward to continuing to work with you!